Will launch for sale in Brazil next year. Based on spy shots as well as the design lines of the Fiat Argo hatchback, Quatro Rodas has created a rendering of the Fiat Argo sedan's posterior. 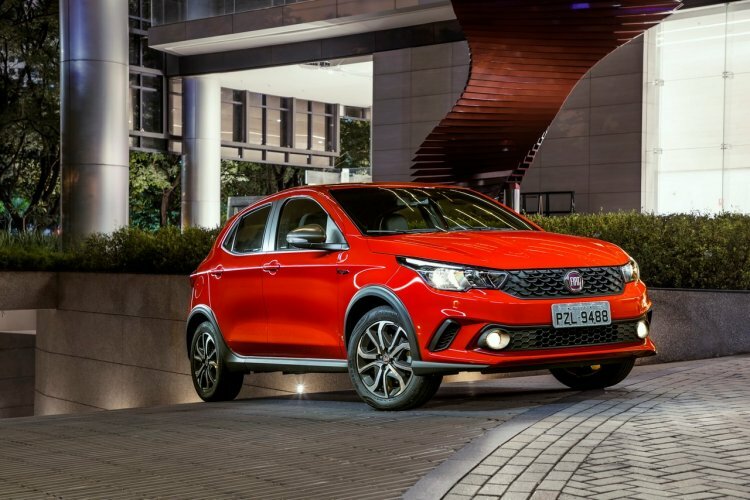 The Fiat Linea and Fiat Grand Siena successor (codename: Fiat X6S) could be revealed in Brazil late this year, but will not launch for sale until next year. The Linea & Grand Siena successor is expected to be previewed to the media in late 2017. 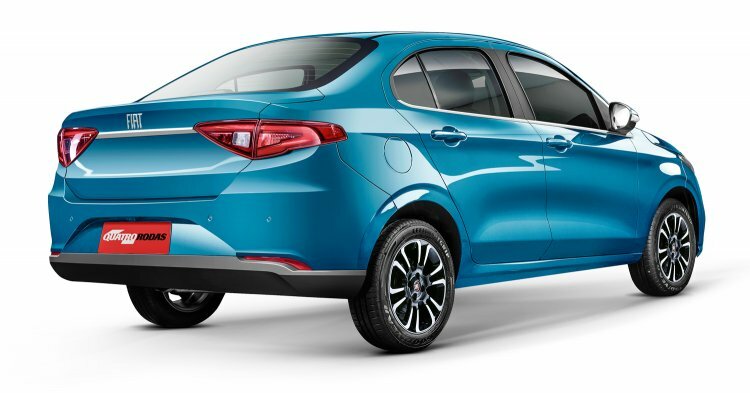 While the front fascia and a portion of the profile are identical to the Fiat Argo hatchback, the posterior will be distinctive but use the same design ethos - 'the emotion of handmade sculpture'. In the render, it seems to draw inspiration from the Alfa Romeo Giulia rather than the Fiat Tipo sedan, featuring sleek, triangular taillamps and large 'FIAT' lettering similar to that of the Argo. According to reports, the Argo sedan could measure 4.4 metres, while the width (1.75 metres) and wheelbase (2.52 metres) will be identical to the hatch. Boot capacity is rumoured to be 440L. The VW Virtus, Hyundai HB20S and Chevrolet Prisma rival is likely to borrow the engine lineup, which include a 1.3-litre Firefly engine with 101 CV (101 hp) at 6,000 rpm and 13.7 kgfm (134.35 Nm) of torque at 3,250 rpm running on petrol and 109 CV (109 hp) at 6,250 rpm and 14.2 kgfm (139.25 Nm) of torque at 3,500 rpm running on ethanol, and a 1.8-litre E.torQ engine with 135 CV (135 hp) at 5,750 rpm and 18.8 kgfm (184.37 Nm) of torque at 3,750 rpm running on petrol and 139 CV (139 hp) at 5,750 rpm and 19.3 kgfm (189.27 Nm) of torque at 3,750 rpm running on ethanol. The front fascia and a portion of the profile will be identical to the Fiat Argo hatchback. A 5-speed manual gearbox comes standard in both models, while the 1.3 variant can be had with 5-speed GSR automated manual and the 1.8L E.torQ is available with a 6-speed automatic, which could be inherited, and so could the Argo's traction control and stability control systems. The Argo sedan will be manufactured at Fiat's plant in Cordoba, Argentina.